Aptitude is an innate or acquired or learned or developed component of a competency to do a certain kind of work at a certain level. The revised edition of the series Know Your Aptitude for Classes 1 to 10 has been designed to check and improve General Aptitude of the learner. (v) gain the skills needed to perform the best in exam. Every effort has been made to make these books student^friendly. If used properly, these could develop and actually improve learner’s mental ability and quantitative aptitude. Books in this series have been very well graded and structured. These books will help the learner in quick decision making and improving his mental ability. 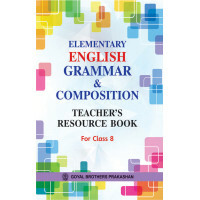 These books will further help in establishing logical and analytical relationship and arrive at the correct solution. Nanhe Tare Abhyas Pustika Bhag 1.. The series Mathematics Success Teacher’s Resource Books (1-5), is designed to assist those who teach..